Remodelling the nose, or rhinoplasty, can be used to resolve a variety of concerns.The procedure can reduce or increase the size of the nose, change the shape of the tip, removing a bump, or building up the bridge line with a graft of bone or cartilage, narrow the span of the nostrils, or change the angle between the lip and the nose. Frequently, achieving the right nose shape requires a combination of these things. The need for nose remodelling may be the result of an accident. However, changes can also occur naturally during the adolescent growth spurt.Frequently, a humpdevelops on the nasal bridge. In other cases it is the nasal tip which may cause problems, by being large and ill-defined. Often, a genetic predisposition to an unattractive 'family nose' becomes the cause of self-consciousness and embarrassment. All these conditions can be helped by the rhinoplasty procedure. Incisions are made inside the nostrils. The nose has the greatest impact on the face , how a person looks. Nose surgery can change the end result of genetics, birth defect or nasal injury. Rhinoplasty can enhance your facial appearance and/or to improve your breathing. In the case of young people Dr Rodrigo usually recommends that to wait until you are at least 16 or 17, and possibly older for boys, before under-going rhinoplasty. This is because the nose may not be fully developed at a younger age. Rhinoplasty can enhance your appearance and your self confidence but it won’t necessarily change your looks to match your ideal, or cause other people to treat you differently. It is not possible to make a carbon copy of someone else’s nose. Nose surgery (Rhinoplasty) can reduce or increase the size of your nose, change the shape of the tip or the bridge, narrow the span of the nostrils, or change the angle between your nose and your upper lip. Alarplasty is the procedure to narrow the span of nostrils and alar base. 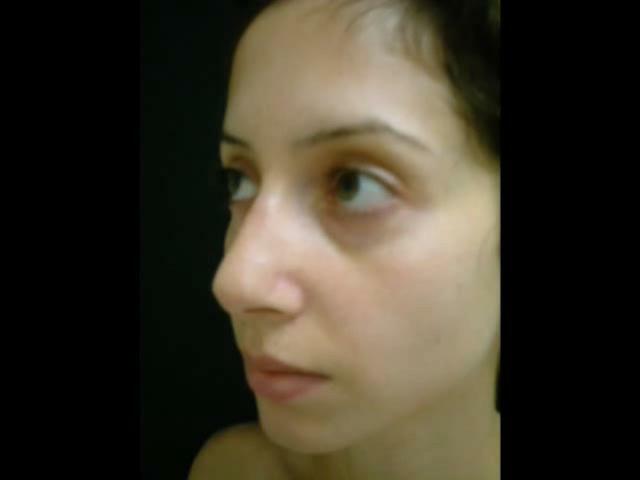 The surgical technique depends on the shape of the nostrils and nasal proprotion to the whole face.To correct nasal tip’s projection and shape,tipplasty should be done alone or combination with other procedures of rhinoplasty. People often feel initial disappointment with nose surgery. Once the plaster is removed, most people expect to look stunning. But swelling and bruising may distort your appearance for up to three weeks. Younger people appear to adjust more readily to physical change because their body image is not as fixed as with older people. Local anesthesia with light sedation.In some cases, a general anesthesia can be used in some cases. Patients look presentable after 7 days. Required minimum stay in Budapest 5 days. When the rynoplasty is performed by a qualified plastic surgeon, complications are infrequent and usually minor.Nevertheless, there is always a possibility of complications, typically bleeding You can reduce your risks by closely following your surgeon's instructions both before and after surgery. The specific risks and the suitability of this procedure for a given individual can only be determined at the time of consultation. All surgical procedures have some degree of risk. Minor complications that do not affect the outcome occur occasionally. Major complications are rare. After surgery as the anesthesia wears off - your nose may ache, and you may have a dull headache. You can control any discomfort with the pain medication prescribed by your surgeon. Your nose may feel tight and sore , but you can control any discomfort with the pain medication prescribed by your surgeon. If you feel any severe pain, call your surgeon immediately. Plan on staying in bed with your head elevated (except for going to the bathroom) for the first day.The swelling and bruising around your nose will increase at first, reaching a peak after two or three days. Most of the swelling and bruising should disappear within two weeks or so. A little bleeding is common during the first few days following surgery, and you may continue to feel some stuffiness for several weeks.The surgeon will probably ask you not to blow your nose for a week or so, while the tissues heal. Your surgeon will let you know when you are ready for exercise.During your healing period avoid drinking alcohol, which can lead to fluid retention and delay recovery. Rhinoplasty can make a remarkable difference in the appearance of the face,especially in the flat nose ,hump nose and wide nostrils. The nose appears more proportion to the face . The degree of improvement varies from patient to patient.